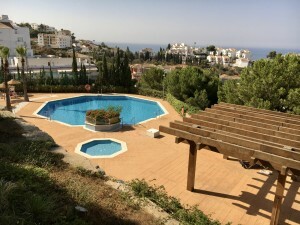 Wonderful townhouse, for sale in Zurgena, in the province of Almeria, ideal for someone who wants to live in a quiet village and a few steps from a supermarket, 3 or 4 bars / cafes, doctors, pharmacies and street market on Friday, etc. . A great opportunity to integrate with the Spanish community. The house is in a quiet part of the village with little traffic. Entering the house, there is the spacious and cozy corridor with attractive wooden doors and tiled floors. On the right is the living room with pellet fireplace and air conditioning, on the left there is a double room, very spacious and bright. Continuing down the hall, there are two double bedrooms, one has air conditioning and the other is currently used as a living / office room. Continuing with the large equipped kitchen, which is large enough to have a dining table, also with air conditioning and access to the traditional, private patio with attractive plants and which makes for a lovely sitting area. The following is the family bathroom with separate shower and bathtub, a service / iron room, with a door leading to an outside storage area and finally to another living / dining room with a traditional wood-burning fireplace. If an additional bathroom is needed, there is plenty of room to have one installed. From this second living / dining room you access the garage with a staircase leading to the partially covered private roof with beautiful views of the village. There is also a storage room / workshop. 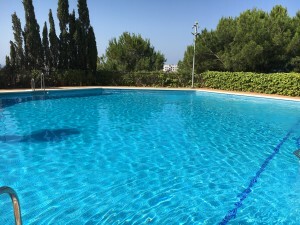 The property has a network of water, electricity, internet and satellite television connected. Besides having the advantage of walking to all the necessary services, the nearest and largest town is Albox, 10 minutes away by car. The A7 motorway and the big city of Huercal-Overa, with its market twice a week, shops, restaurants and hospitals, etc., are less than 15 minutes away by car and the coast of Mojácar is between 25 and 30 minutes away by car. 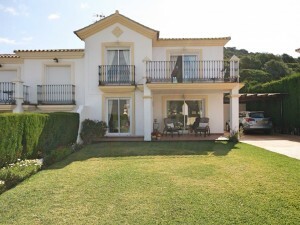 For more information and visits to this charming property, do not hesitate to contact us!